Cosy groundfloor appartment with flowering private patio and common garden. Our cosy home is one of four apartments in an historic house fr.o.m. 1905. 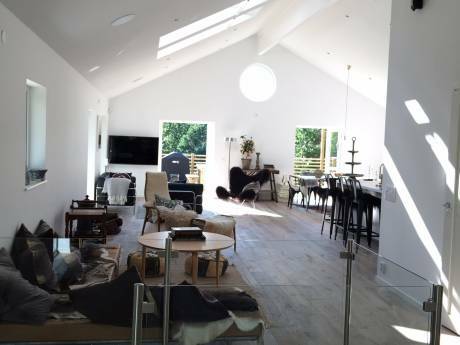 It was modernized in 2005 to a airy and light 3 room apartment with a typic nordic design, a fireplace in the living room and a modern bathroom with floorheating and bathtub. The area was originally built more than a hundered years ago as homes for the workers in the famous Porcelain industri "Gustavsberg". 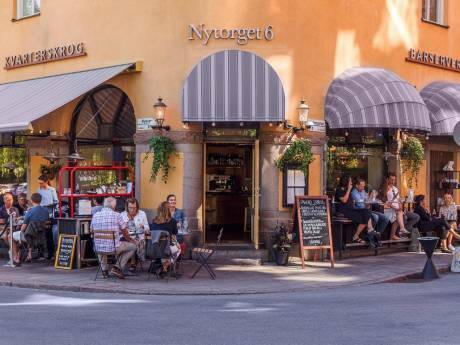 Its surroundings are beautiful and very pittoresque with this typical Swedish atmosphere with flowering gardens and red houses. 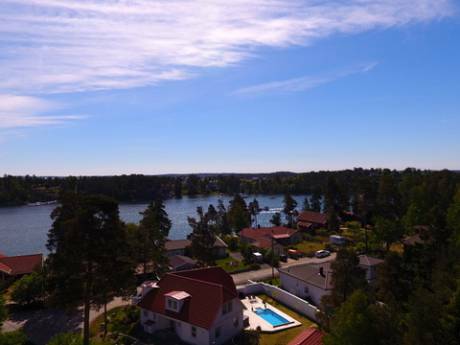 It is situated 20 min outside Stockholm, in Gustavsberg, a wellknown center for cheramics and porcelain, indeed right between the capitol and the famous artipelago. You reach the apartment from a separate entrence and just in front you have access to youre private dwelling area with outdoor furnitures , barbecue and our personal favoutite the hammock(!) Here we spend many summer days slowly swinging and eating strawberrys with icecream or just relaxing with a glass of wine enjoying the light summerevenings. The house is surrounded by a common garden to which all appartments have access. Five minutes away you find grocerystores, apothecary, busstop and a sportcenter with indoor swimmingpool. Five minutes in the other direction you enter the woods. Here you can find an outdoor gym, paths and mapped roads for running and walks.